So you have just had a Kaya Hair Free Gentle Touch laser hair removal treatment. After each laser treatment session, you need to take special care to protect your skin, which has become sensitive due to the treatment. This will also ensure the best result for your laser procedure, whether it is for hair removal, pigmentation reduction, or other treatment. Choose a reputed skin care center like Kaya Clinic for laser hair removal. At Kaya, the treatments are carried out by highly trained experts under the guidance of dermatologists. You can read Kaya skin clinic laser hair removal reviews online. Your laser treatment will have its desired effect, but it can also make your skin very sensitive for the first few days after the procedure. So, you need to keep in mind a few good practices for the proper care of your skin. If you have had treatment on your arm or leg, be sure to wear full sleeves and long skirts or pants to protect the skin from direct sun exposure. If you had the laser treatment on your face, wear sun goggles and scarves. If you feel any slight irritation or pain, this is normal, it will soon go away. Apply a soothing ice pack. Wrap the ice pack in a soft towel to avoid hurting your tender skin. You can repeat this treatment, taking breaks in-between till your skin feels calm and soothed. Remember to always apply sunscreen before you step out. This is always important but even more so after laser hair removal treatment. Use a sunscreen like Kaya Sunscreen for Sensitive Skin, a lightweight formulation, free of perfume. This provides protection against both UVA and UVB rays. 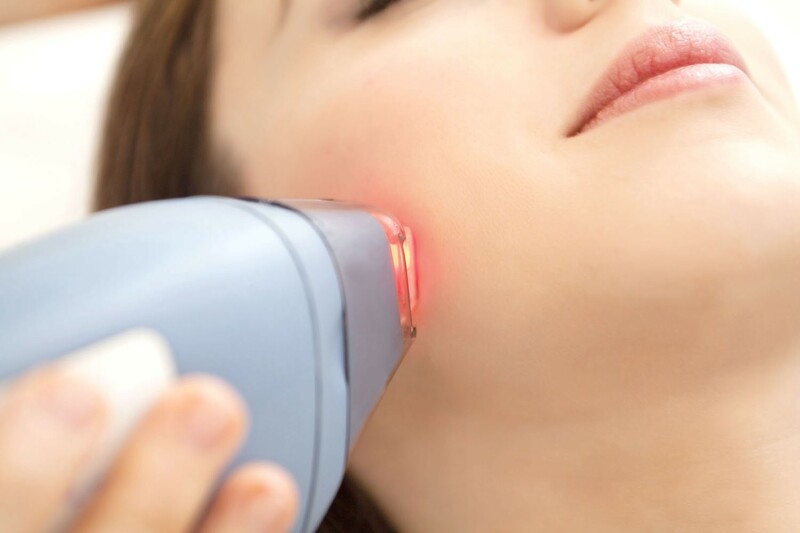 Laser treatment uses heat to destroy hair follicles. This makes your skin very sensitive for a few days. So, do not take hot showers. Use cool, clean water to cleanse the treatment areas. Do not take a steam bath or sauna. Applying makeup on the treated skin can cause irritation. So, avoid makeup for a few days. You can use gentle moisturisers and soothing creams. Makeup and makeup removers can harm your skin and decrease the effectiveness of the laser treatment. Do not wax, pluck or thread any hair you see in the treated area. These will eventually fall off and will also be targeted in further sessions. Waxing and other treatments that pull out hair will damage your sensitive skin. Use an effective but mild soap-free cleanser like Kaya Cleanser for Sensitive Skin. This light and smooth cleanser is formulated for tender, delicate skins. It has no perfume or harsh ingredients so it does not cause any irritation. You always need to use moisturisers to maintain skin health. It is even more important after having a session of permanent laser hair removal treatment. Kaya Clinic offers a selection of moisturisers including a lightweight ‘Anytime Moisturising Cream’, and an ‘Intense Body Hydration Lotion’. These products are non-greasy and get quickly absorbed into the skin for fast results, leaving your skin looking smooth and soft. Kaya uses the best techniques in its permanent laser hair reduction treatments like the ND-Yag-based Kaya Hair Free Gentle Touch. However, any laser treatment can make your skin a bit sore and tender. Soothe your sore skin with aloe vera. Kaya offers a Skin Protection Cream with Aloe Vera, specially formulated for post-treatment care. Kaya Clinic offers US_FDA approved laser treatment. The ND-Yag and Diode laser hair technology for permanent hair removal is safe for use on Indian skin and are highly effective. However, for the procedures to have their desired results, you need to take precautions too. Develop a good sensitive skin care routine and follow it for some time after the laser treatment session for best results!